We’re the capital of Alabama. Our 200,000+ citizens enjoy mild winters, more than 70 city parks and living near some of the most historical sites in the U.S. Our diverse economy, great real estate values and other amenities make the Capital of Dreams a great place to live. Offering 100 GBs and reduced costs associated with operating a business, the Montgomery Internet Exchange (MGMix) is the one of the busiest Internet exchange points in the South. MGMix is an open exchange led by a visionary collaboration among the City of Montgomery, Montgomery County, state agencies, research universities, Maxwell Gunter Air Force Base and the new Cyber College of the Air Force. 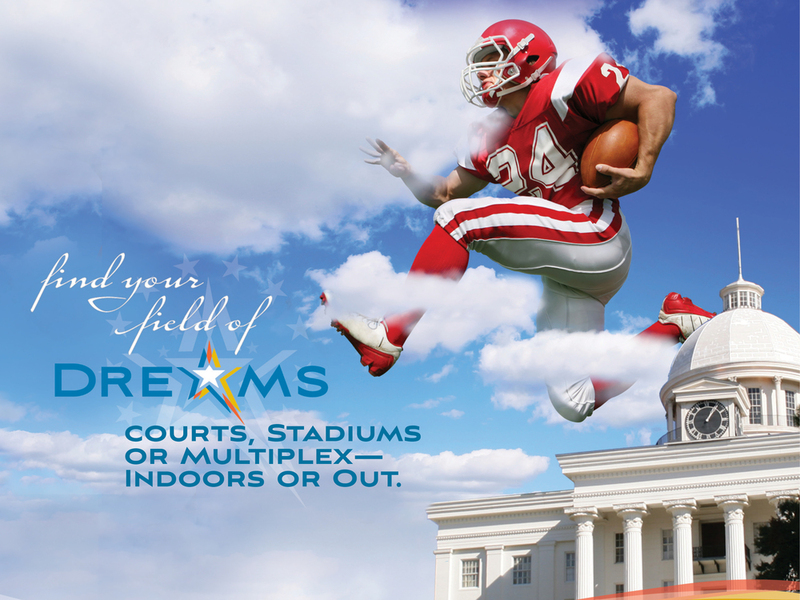 Dozens of companies -- regional and international -- choose Montgomery and MGMix! Montgomery is home to the Raycom Media Camellia Bowl, the Blue Gray Tennis Tournament, the Turkey Day Classic, annual Marathon and Half-Marathon and top-notch collegiate and scholastic competitive events. Firefighters, golfers, horseshoe pitchers, anglers and athletes from countless sports come here for championship tournaments. The Biscuits, Montgomery’s AA minor league baseball team, is an affiliate of the Tampa Bay Rays. Riverwalk Stadium is ranked among the best venues in all of sports. If you’re lucky, you’ll catch a cannon-propelled biscuit or get a hug from Big Mo! Maxwell Air Force Base and the Gunter Annex are the center for officer training and the Information/Technology hub, respectively for the Air Force. Air University hosts military personnel from around the globe and our aviation roots go back to the Wright Brothers who opened the world’s first civilian flight school here. We’re frequently called the best hometown in the Air Force! 1955’S Montgomery Bus Boycott gave birth to the Civil Rights Movement. Heroes like Dr. Martin Luther King, Rosa Parks and the citizens of Montgomery made the dream of racial equality a reality for our nation. Known wide and far across the Yellowhammer State as Goat Hill, Alabama’s capitol complex is now home to an entirely different type of animal. Goat Hill derived its nickname from the goats that once grazed upon the property. Today, it sits near the heart of the city and at the epicenter of state politics -- a far cry from the peaceful pasture city founder Andrew Dexter sold to the state in the 19th Century. Travel site Trivago ranks the Capital of Dreams on its list of Best Value Cities. Our CVB goes the extra mile to ensure conventions, tourist groups and all visitors will have a great time visiting Montgomery’s restaurants, shops and nightlife. Sure, we're known for a lot of things. Montgomery's Riverfront is one of the most beautiful natural resources in the state of Alabama. Visitors and residents alike can explore the Alabama River thanks to a vibrant riverfront entertainment district complete with restaurants, trails, historic markers, shops and an amphitheater. The Lost Highway begins and ends in Montgomery. The Alabama Troubadour’s meteoric rise to fame started right here, but it was also the setting for his final show – a funeral attended by more than 20,000 mourners at City Hall. Hank now rests in Montgomery’s Oakwood Annex Cemetery, where fans and friends gather each New Year's Day to toast the country icon with a shot of whiskey and a song. Visitors can also explore the Hank Williams Museum, located in downtown Montgomery, and home to many of the singer’s relics. Montgomery Public Schools’ magnet program consistently earns national recognition. LAMP High School, Booker T. Washington High School and Forest Avenue Elementary are ranked among the top 10 schools in Alabama. Montgomery is also home to eight colleges and universities.